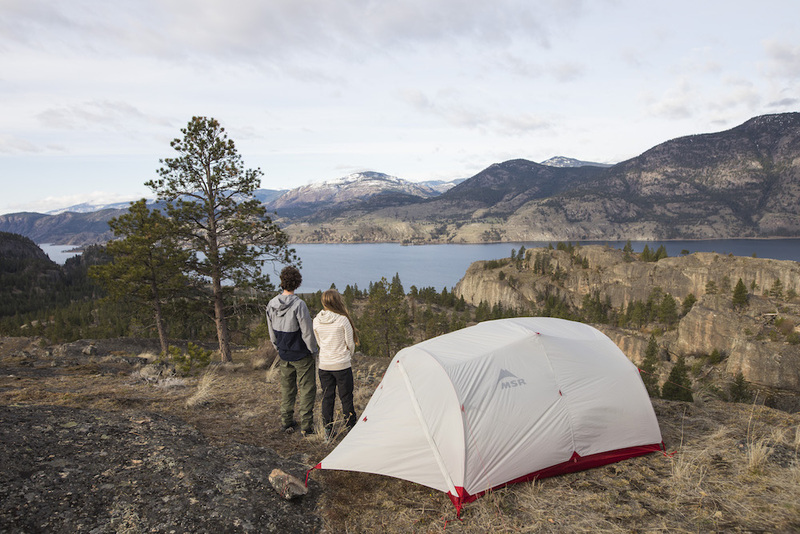 Camping in the great outdoors is practically a right of passage for Canadians, especially if you live in Vancouver. For most, it brings to mind warm summer days by the lake with nothing but a tent to shield you from nature. Surrounded only by trees, whooshing rivers and a crackling fire, it’s an experience many look forward to each year. But whether you’re thinking of camping in the lush forests of Alice Lake, or checking out the Golden Ears falls at Gold Creek, you’ll want the right gear so you can take full advantage of the gorgeous outdoors. 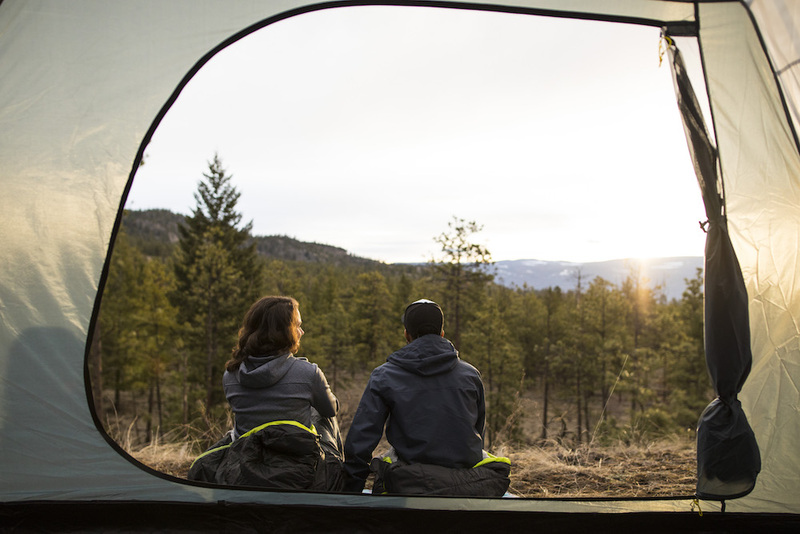 Luckily, our friends at Sport Chek have the inside scoop on five essentials you probably didn’t think of, that are sure to take your camping trip to the next level! Perhaps the best part of camping is the opportunity it presents for endless adventure. From hiking and swimming to canoeing and rock climbing, filling your day with fun activities is no challenge. However, with all this fun it’s easy to forget the importance of staying hydrated. The last thing you want is for your annual camping expedition to be tarnished from something as simple as drinking enough H2O. This year come prepared with the Dakine Session 8L Hydration Pack, which holds up to six litres of water and has an easy to use valve. Instead of worrying where you’ll get your next fill of water, you can focus on the beauty and all the wilderness fun you have planned. If you didn’t take a picture, did you really successfully pitch the tent? How many times have you gone camping and seen something really cool, with no way of bringing the memory home with you? It’s not easy to take a camera along on all your hiking activities in case of water damage and other outdoor elements. Now, you won’t have to worry with the durable and waterproof GoPro HERO6 Black action camera that turns your camping fun into QuikStories that go right to your phone. You’ll be able to instantly share all your amazing outdoor sights with friends, pending of course access to Wi-Fi. Being in the outdoors gives you lots of opportunity to test your endurance. Portaging the canoe to the water or on a skill-testing hike – going off the grid doesn’t mean you can’t stay on course with your fitness goals when you have the Fitbit Ionic Smartwatch. Helping you track your fitness levels with dynamic personal coaching, and a built-in GPS (in case you to decide to take a little detour on that day-hike) the Smartwatch is a durable addition to your camping get-up. No fitness milestone should go unnoticed, even when you’re unplugged. Got some free time on the camp grounds while waiting for dinner to be roasted over the fire? Grab the Waboba Moon Ball, and watch it bounce high among the tall forest trees. Bouncing up to 30 meters high, you can keep the outdoor fun going into the evening after a long day out in the wilderness. Of all the different activities, you can do when camping in Vancouver, a highlight of the trip will always be the water sports. From canoeing at Indian Arm National Park, to swimming in Rolley Lake, the Nike Rupture Goggle with coated anti-fog lenses are a must-have for any water excursion. Now you won’t miss out on any of the beauty beneath our great BC waters.